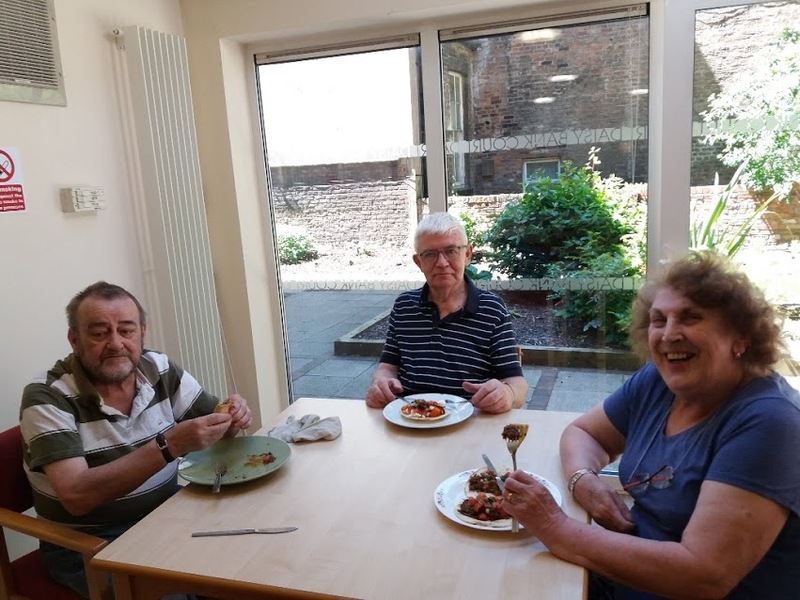 Since June 2017, 4Lunch has been running a pop-up café for Arawak Walton Housing Association and their over 65s residents living in at Daisy Bank Court. We make home-cooked, healthy food for members of the community who might otherwise face social isolation. Bringing people together through food in a welcoming environment encourages conversation, supports friendships and offers a place for people to socialise. When you live with mental health needs or live alone, sharing a home-cooked meal with others can help you feel more connected. It’s something most of us take for granted. Running a pop-up café is 4Lunch’s way of contributing to our community each month, working in areas and in venues that are underutilised. Our pop-up café project also provides important volunteering opportunities. James has been a volunteer at the pop-up café from the very beginning and has seen his confidence in the kitchen grow. Our pop-up lunches are open to all members of the community – we say the more the merrier! 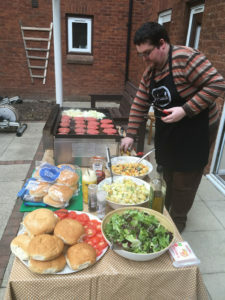 4Lunch is a social enterprise working with communities in Greater Manchester, delivering cookery courses, catering and food business training. Click Here to explore the website.